Resolution 02, which draws major tasks and solutions to improve the business climate and raise the national competitiveness in 2019 with orientations to 2021, says that the country’s business climate and national competitiveness are expected to be among ASEAN-4 countries in all rankings. The number of new businesses will rapidly rise while that of businesses dissolved or stopping operation will decrease. At the same time, input costs, opportunistic costs and informal costs for businesses and people will be slashed, contributing to the attainment of socio-economic development objectives set by the Government. In overall, the indexes for the period to 2021 and for 2019 alone, respectively, are expected to improve as follows: the ease of doing business (EoDB) index will rise 15-20 rankings and 5-7 rankings; global competitiveness index (GCI), 5-10 rankings and 3-5 rankings; global innovation index (GII), 5-7 rankings and 2-3 rankings; logistics performance index, 5-10 rankings; and travel and tourism competitiveness index, 10-15 rankings and 7-10 rankings. Particularly, the e-government development index will jump 10-15 rankings by 2020. The resolution sets out five groups of major solutions for achieving the above targets. In the first group of solutions, the resolution assigns certain ministries to act as the focal points in monitoring the improvement of indexes and ministries responsible for component indexes. For example, the Ministry of Planning and Investment (MPI) will monitor EoDB index and GCI, while the Ministry of Science and Technology (MoST) will supervise GII and readiness for the future of production index. The Ministry of Industry and Trade will take charge of monitoring logistics performance index, the Ministry of Culture, Sports and Tourism will oversee travel and tourism competitiveness index, and the Ministry of Information and Communications will monitor e-government development index. The Government orders the focal-point ministries to draw up and issue within the first quarter of this year plans setting forth tasks and solutions to be performed, responsible agencies and deadlines for completion. These ministries are also required to provide guidelines no later than March 31 for related ministries, agencies and localities to correctly understand relevant indexes. These guidelines must be posted on the websites of such ministries. The focal-point ministries are responsible for monitoring related ministries, sectors and provincial-level People’s Committees in performing relevant tasks and solutions, and timely proposing the Government or Prime Minister to amend mechanisms and policies with a view to improving the indexes under their mandate. At the same time, these ministries should closely work with international organizations and establish channels for update of information in order to ensure objective assessment and ranking. They are also required to report index improvement results on a quarterly basis to the Government leader as well as the MPI and Government Office for preparing a general report on implementation of the resolution. Particularly, the Ministry of Foreign Affairs will assist related ministries and sectors in promoting cooperation with foreign partners and international organizations to settle issues related to business environment and competitiveness. It must also urge the World Economic Forum to complete a report on Vietnam’s readiness for participation in the Fourth Industrial Revolution in early 2020 and organize the establishment of the Internet of Things Innovation Hub. In an interview granted to tapchitaichinh.vn on January 4, Director of the Central Institute for Economic Management Nguyen Dinh Cung said that the resolution seeks to heighten the sense of responsibility, activeness and innovation of ministers in task performance. They may at their discretion or propose competent authorities to take necessary measures to achieve the set targets. The second group of solutions emphasizes the need to continue cutting or simplifying regulations on business conditions and to push ahead the reforms of business conditions already made in 2018. Ministries and ministerial-level agencies should review and report before the third quarter of the year unclear, unspecific or infeasible business conditions to the Government or the National Assembly for removal. Meanwhile, chairpersons of provincial-level People’s Committees should direct their departments and district-level People’s Committees not to impose illegal business conditions, and strictly handle those who fail to comply with the new business conditions. The MPI will evaluate substantial impacts of the reforms on businesses and make evaluation reports in June; and monitor the implementation of the reforms in ministries, sectors and localities and report arising problems to the Prime Minister for settlement. It must complete in the fourth quarter of the year a scheme to cut conditional business lines in accordance with the Law on Investment. 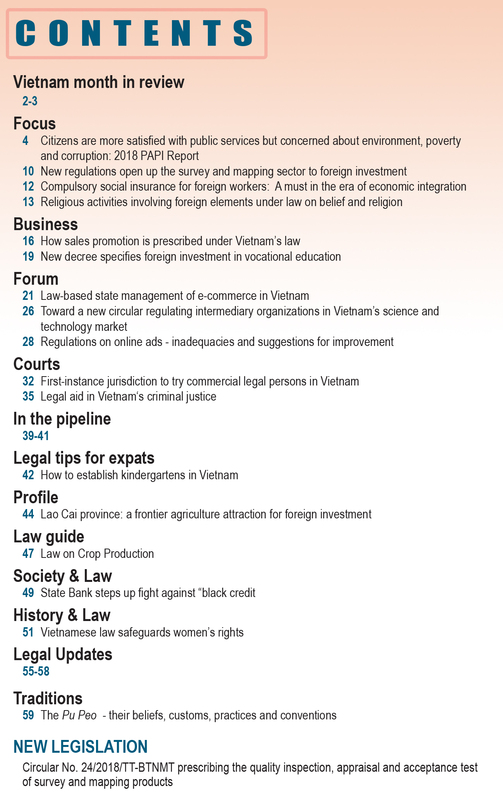 Solutions of the third group include comprehensively reforming specialized inspection and increasing connection to the Vietnam National Single Window (VNSW). Specifically, by the year-end, ministries and ministerial-level agencies must apply risk management principles based on evaluation and analysis of corporate compliance; shift from pre-licensing inspection or post-licensing inspection, mainly in the stage of sale of goods in the domestic market; publish the list of goods subject to specialized inspection as well as management principles and costs; and deliver online public services at level 4. 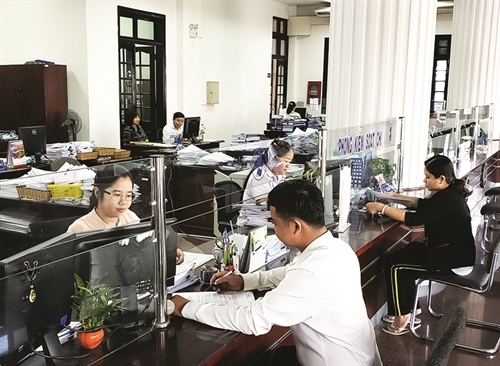 Right in the first quarter of this year, ministries and ministerial-level agencies must stop including administrative procedures in implementing regulations. 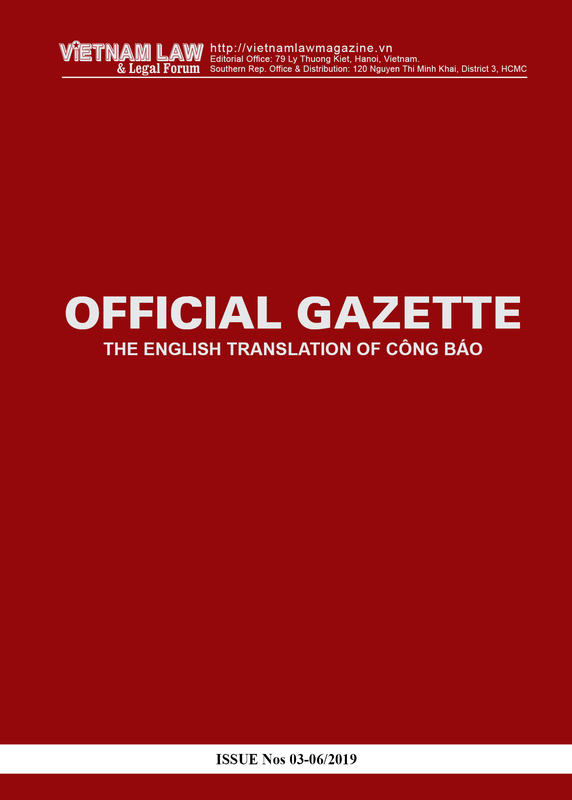 Line ministries must post on their websites the lists of goods subject to specialized inspection with simplified procedures; before June, they must cut half of goods items subject to specialized inspection and make them public. 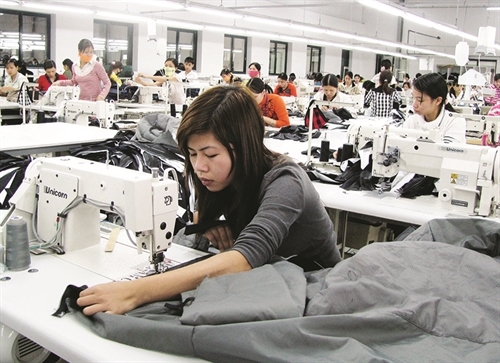 In 2019, ministries and ministerial-level agencies must assign a sole body to carry out specialized inspection procedures for a type of goods or services. They must work out technical solutions for connecting the Vietnam Automated Cargo Clearance System/Vietnam Customs Intelligence Information System and all administrative procedures related to specialized management and inspection to the national single-window mechanism or ASEAN single-window mechanism. The Ministry of Finance (MoF) is assigned to monitor and assess the reform of specialized management and inspection, and evaluate its impacts on exporters and importers, while chairpersons of provincial-level People’s Committees must ensure compliance with the regulations on reduction of goods items subject to and reform of administrative procedures related to specialized inspection. The fourth set of solutions requires the promotion of electronic payment and online provision of public services at level 4. Accordingly, ministers and heads of ministerial-level agencies will direct the online provision of at least 30 percent of public services at level 4; allow non-cash payment by different means and increase the use of public postal services for receiving dossiers and notifying results of settlement of administrative procedures. Particularly, the Ministry of Information and Communications must remove before the second quarter of the year difficulties for telecom companies, enabling them to take part in contests and auctions and obtain licenses to use frequency bands in accordance with law. In the first quarter of the year, the ministry must complete the architecture frame of Vietnam e-government for the 2018-25 period and guide the development and update of e-government architecture (for ministerial-level agencies) or e-administration architecture (for provincial-level agencies). 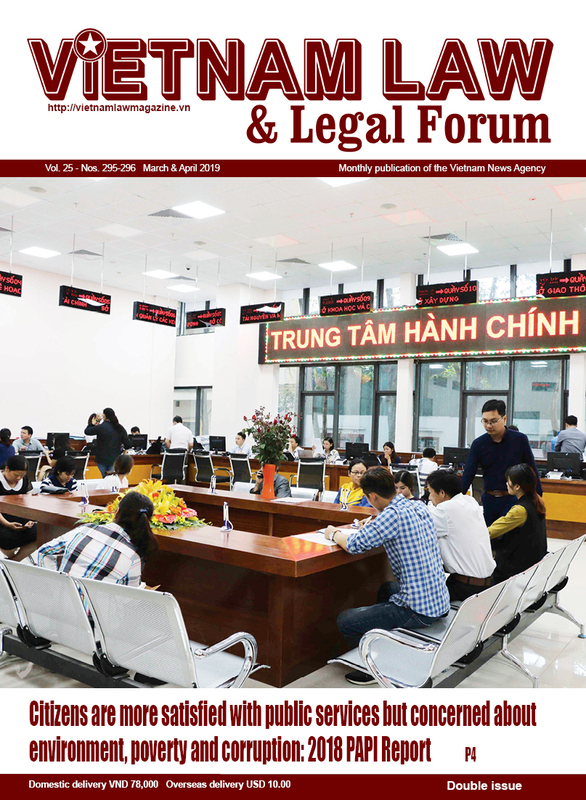 The State Bank of Vietnam must coordinate with the MoF in notifying the lists of transactions for which via-bank payment is compulsory and ask the Government to revise relevant regulations so as to promote non-cash payment for real estate transactions. Before the third quarter of the year, the MoF must revise financial regulations allowing administrative and non-business organizations as well as businesses to electronically pay charges for services. The Ministry of Labor, Invalids and Social Affairs should direct related units in helping beneficiaries use non-cash payment instruments to receive their allowances, ensuring that at least 10 percent and 30 percent of urban residents will have access to non-cash payment services by the end of this year and of 2020, respectively. The Government Office is tasked to establish and put into operation the national public service portal before December this year and connect it to the VNSW, public service portals and ministerial- and provincial-level electronic single-window information systems, and national and specialized databases serving the online provision of public services. It will implement and inspect the reform of administrative procedures and implementation of the single-window mechanism in settlement of administrative procedures. It is also tasked to monitor and advise on the online provision of public services at level 3 and level 4 in ministries, sectors and localities. According to Cung, these solutions are new and aim to promote the application of information technology and create new modes of management, while helping reform business conditions and specialized inspection. He said online payment would facilitate the provision of public services at level 4 and enhance transparency in state management work while discouraging petty corruption. The last set of solutions seeks to develop innovation ecosystems and promote startups. The resolution says that the development of innovation ecosystems must be business-centered while increasing the research capacity of universities. It is necessary to continue renewing key scientific programs and ministerial-level researches and renovating the operation of state-run research institutes. The establishment of private research institutes, especially in the science and technology sector, should be also encouraged. Businesses should be encouraged to invest in technology innovation and engage in research and development activities and artificial intelligence. The use of administrative tools to intervene into innovative activities of businesses, research institutes and universities must be banned. The MPI is assigned to submit to the Prime Minister a scheme to establish the National Innovation Center in March and the national development strategy on the Fourth Industrial Revolution in September. The MoST must step up the restructuring of the national science and technology program with businesses regarded as the center of the national innovation system. It will also develop a national startup center and establish a national startup connection network. The MoF will coordinate with the MoST in issuing a circular guiding spending contents and management of development funds of businesses in order to promote innovation and technology transfer at businesses, allowing them to enjoy autonomy and decide on the use of their research and development funds for innovation and innovative startups.